The Matinee ’18 November 5th includes an eclectic group of songs to hopefully get your week started off right. We have a mix of blues rock, synth pop, psych rock and indie rock. We hope you find your new favorite song or band. Artists today are representing the US and the UK today. 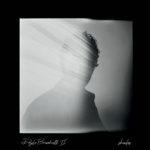 If you aren’t familiar with Doyle Bramhall II, you have probably heard his stellar guitar work, but just didn’t know it. He has toured with Roger Waters, Sheryl Crow (and produced her album 100 Miles from Memphis) as well as Tedeschi Trucks Band. He formed the band Arc Angels with Charlie Sexton at just 20 years old. He has collaborated with Elton John, Eric Clapton, T Bone Burnett, Gary Clark Jr. and Gregg Allman just to name a few. He is also one of the few left handed guitar players that has his guitar strung upside down. “Everything You Need” is a blues filled track with Doyle’s soothing vocals and impressive solo guitar riffs. The Clapton guitar cameo is a wonderful touch even though he’s not included in the video. There is a cameo from legendary drummer James Gadson, though.The song speaks about an ideal relationship, which might possibly be for his current love, Renee Zellweger. Bramhall II’s new album, Shades, is out now. It not only includes collaborations with Mr. Clapton but Norah Jones, Greyhounds and Tedeschi Trucks Band. Get it here. MOSSS is the project of Rob McCurdy. 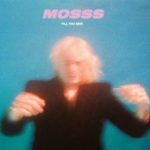 “Till You Sink” is the newest single from MOSSS. His newest offering is a smooth and shiny offering with the most perfect retro touch. Even though the fall weather and earlier sunsets, this track can be spun any time of year to immediately relax your mood. “Till You Sink” is the second single from MOSSS and will be part of his upcoming debut EP due out spring of 2019. 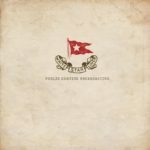 Public Service Broadcasting recently released their EP covering the sinking of the epic Titanic. “The Unsinkable Ship” takes the angle of remembering it’s massive construction in Belfast as a ship worker’s son recalls witnessing the grandiosity of the construction and how they referred to it as “The Unsinkable Ship”. The musical composition is grand and monumental. The overall sound represents the strength of the ship as well as the addition of strings and horns provide a majestic representation of the opulence that was the Titanic. Public Service Broadcasting are J. Willgoose, Esq. (guitar, banjo, other stringed instruments, samplings, electronic musical instruments); Wrigglesworth (drums, piano, electronic musical instruments); and J. F. Abraham (flugelhorn, bass guitar, drums and assorted other instruments including a vibraslap). The trio’s new EP, White Star Liner, is out now via Play It Again Sam. Purchase/stream it here. 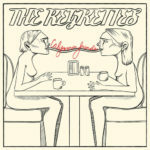 We have already been following The Regrettes ever since their debut album “Feel Your Feelings, Fool!” which was released last year. “California Friends” is their newest single and it’s a super catchy offering of upbeat post punk. The quartet could easily be on the verge of a huge breakout with their irresistible blend of punk-pop-rock. The all girl band was formed as teenagers and continue to hone their sound with each new release. The band has also been noticed by Sirius XM and will be touring this fall in their Advanced Placement tour. More information about the tour can be found here. The Regrettes are Lydia Night (vocals/guitar), Genessa Gariano (guitar), Violet Mayugba (bass), and Drew Thomsen (drums). The single is out now on Warner Music Group. Swimm have recently released “Weekend” which is actually a b-side release from the band’s Beverly Hells EP that was released in 2015. 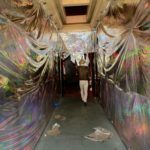 The newest track is an energetic and psych filled dream that takes us back to some of their earlier singles. Fittingly, “Weekend” is the best single to spin when you’re ready to let off a little steam. Singer Chris Hess shares a bit about their newest release: “Weekend” is meant to be a mindless escape inspired by all our friends that work really hard and at times get paid very little for it… Aka operating as a ‘freelance anything’. I’ve always been obsessed with Kim Gordon… especially Experimental Jet Set Trash and Star era, and basically wore my WWKD bracelet for this one. To harken back to the cruiser vibe of our last single “Mind’s Eye”, we decided we’d take a left turn with the bridge. Every party has a bossa nova inspired ‘cigarette break’ at some point ya know? So maybe you spent more on tequila than what you got paid, maybe you didn’t find love but pretended a little, maybe things got weirder than you intended… as long as your buds are there, it’s all good. Swimm are Chris Hess, Adam Winn, Hany Zayan and Marton Bizits. The band will release their Beverly Hells EP Special Edition Out November 29th. TENDER have a new track titled “Closer Still”. It’s a new release that includes a dance ready disco vibe. The groovy bassline sets the tone for a song that could have easily been included in the movie Saturday Night Fever. It definitely is one that makes you want to bust a move. The lyrics speak to a relationship that still has the potential to grow even stronger. 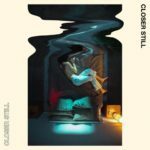 The duo have crafted a laid back and addictive single that can easily be set on continual repeat. TENDER is James Cullen and Dan Cobb. Their sophomore album, Fear of Falling Asleep, awakens on January 18th via Partisan Records.